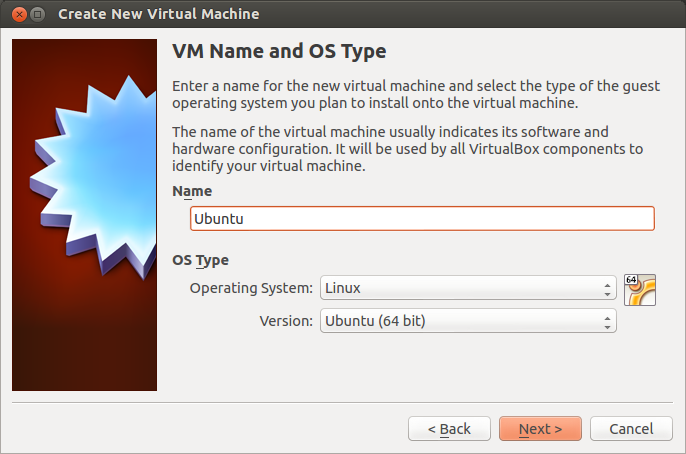 Whether you want to Install Ubuntu within Windows/Mac or install another OS within Ubuntu this guide will show you how to prepare VirtualBox for a Virtual Installation. 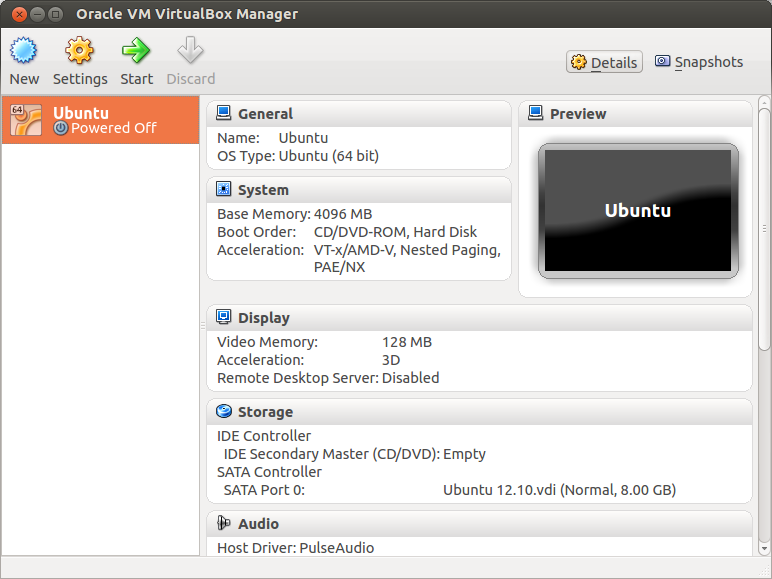 VirtualBox installed on you current OS, if you haven't already read the VirtualBox Installation Guide. (Note: If you wish to install a different OS select the relevant 'Operating System' & 'Version' options from the drop down menus. 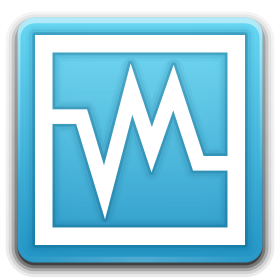 A list of all supported OS types can be found below. Enter Virtual Machine Base Memory (RAM) - I usually use half of the Ram available, Click 'Next'. 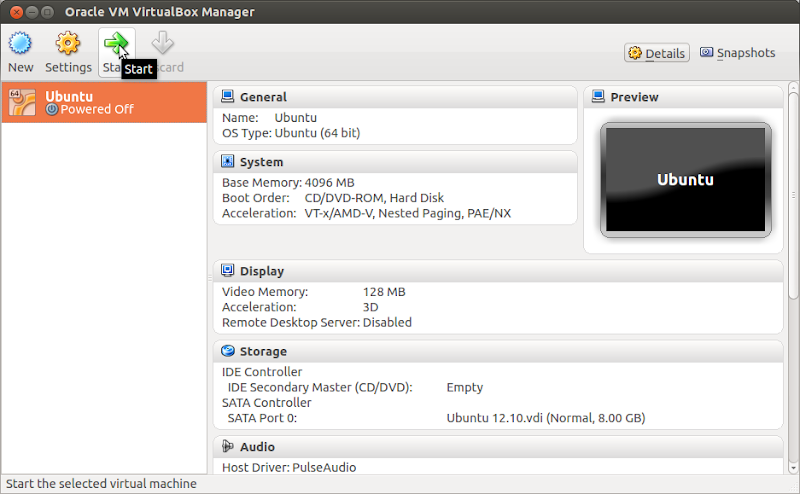 Create Virtual Hard Disk - Just click 'Next' here and on the next 2 screens. 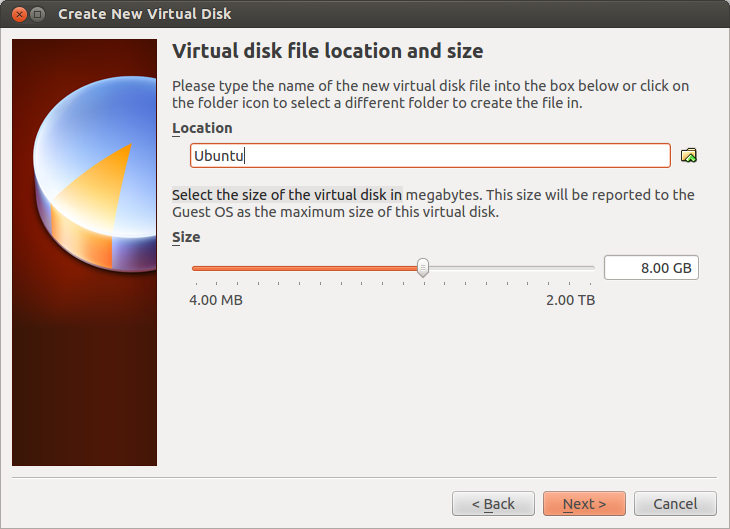 Select the size of the Virtual Disk, click 'Next', and then click 'Create' on the following screen. You should now see this screen with your new entry in it. Click on the 'Settings' button to continue. (Alternatively if you are using a physical disk select 'Host Drive...'). 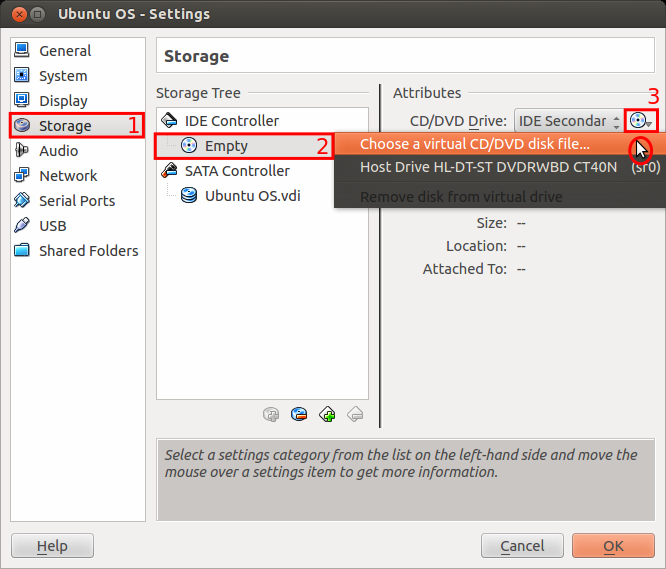 Locate the Ubuntu ISO (or other OS) you downloaded, select 'Open' then 'OK'. You will be returned to the main menu. Click the 'Start' button to begin the installation process of Ubuntu on your virtual machine. 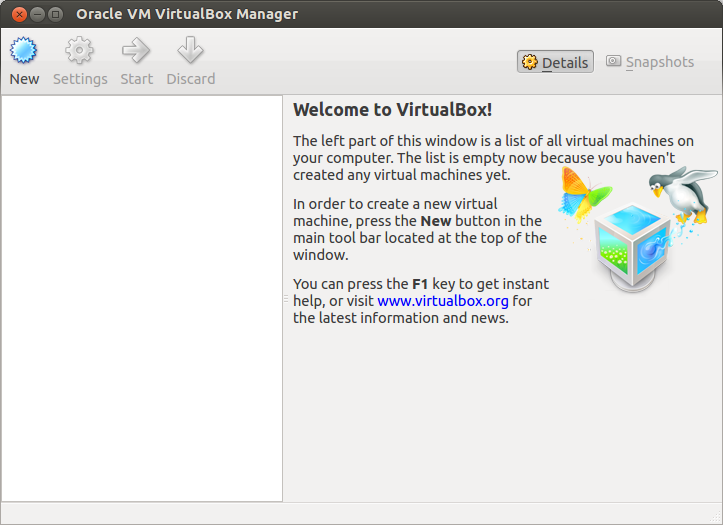 If a 'VirtualBox - Information' message appears just check 'Do not show this message again' then 'OK'.